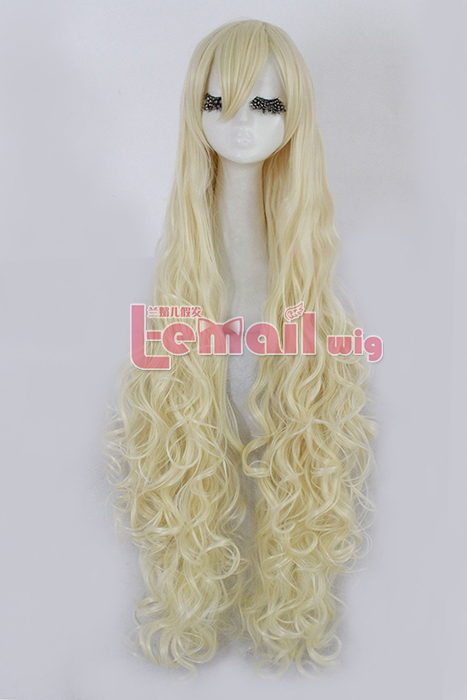 This 100cm long blonde wave wig is known for its warm color, its length of 100cm gets the overall wave design room to perform its best condition, gives you an enticing hint yet natural enough to be noticed subtly. 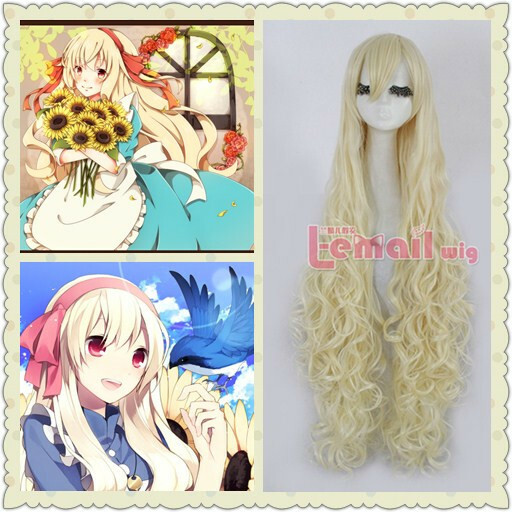 Blonde Kageou Project Marry wave wig with a fancy hair style catches fair share of attention for you. The wig starts to get curly at the middle of the wig that adds a glamorous touch to your personality. Marry is a small albino girl with long wavy hair which reaches down to her hips, and pink eyes. She usually wears a light blue dress with a white apron over it and chooses to stay barefoot. She sometimes has a pink ribbon tied into her hair. Her hoodie is white with pink roses on it. In Mekakucity Actors her usual hair has a cream hue added to it that becomes darker as it reaches the tips. She also wears short loose brown boots instead of going barefoot. As a child she used to wear a pink dress with white knee socks and red shoes. A small pink flower was also placed in her hair to the left. This entry was posted in Buy Cosplay Wigs, Wigs Hairstyle Selections and tagged best cosplay wigs, cheap blonde wigs, long blonde wave wig, long wave wigs.